This is one of those plants that I never tire of, however much I see it. The spiky bracts and silvery cones on candelabra stems always look imposing. Don’t be deterred by the young foliage: rounded and marbled it seems improbable that it could eventually produce anything so eye-catching. It is monocarpic, dying after flowering, but produces masses of seed. Let it seed itself about but be ruthless in weeding out most of the seedlings. It looks far more effective when single plants are dotted randomly through a border rather than colonising swathes of it. 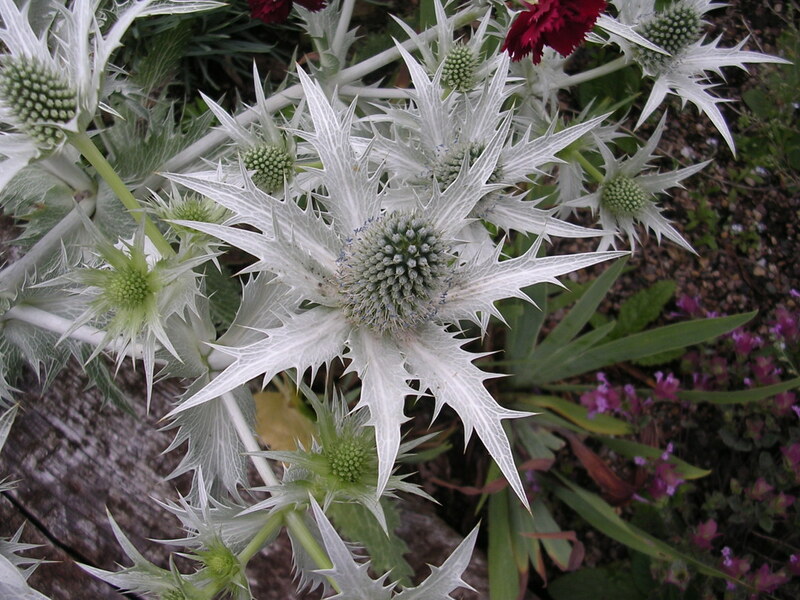 Its commonly known as ‘Miss Willmott’s Ghost’ after the nineteenth-century horticulturalist who had a habit of spreading seeds of the plant in garden’s she visited – whether or not the garden owner wanted it.